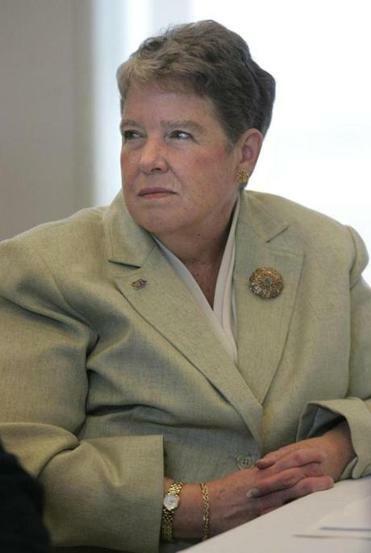 Kathleen A. Kelley, longtime head of the Massachusetts Federation of Teachers attends a board of education meeting at UMass Boston. Passionate. Caring. A strong advocate. Those are the words that educators and labor officials used to describe Kathleen Kelley, the longtime teachers union leader who died Sunday at the age of 72. Ms. Kelley made history in 1979 when she became the first woman to be elected president of the Boston Teachers Union. She later worked for the Massachusetts Federation of Teachers (now the American Federation of Teachers Massachusetts) and served as president from 1993 until her retirement in 2006. Ms. Kelley graduated from Boston State College and began her career as an elementary school teacher in Boston in the late 1960s. She became actively involved in the Boston Teachers Union and served on its executive board and worked as an elementary field representative prior to her election as president in 1979. She recently appeared in a short documentary video about the history of the Boston Teachers Union. In the video she also spoke of her love of education and helping students. According to a notice from Dolan Funeral Home, Ms. Kelley was the recipient of the Massachusetts AFL-CIO Merit Award for outstanding service to the labor movement and the Boston Labor Guild’s Cushing-Gavin Award as an outstanding labor leader. She also served on a number of boards and committees and was involved with the executive council of the Massachusetts AFL-CIO, Citizens for Public Schools, the Massachusetts Budget and Policy Center, and Early Education for All. The notice did not reveal a cause of death. “She had a huge impact on education policy in our state for many years,” said Tang. “I think one of the reasons she was so successful as president is that the members and the school community felt she really cared about them, and it was true. She very much identified with students also,” he said. Gosnell said Ms. Kelley led through many crises over the course of her career, from layoffs in the 1980s (‘that was a very, very difficult time,’ he recalled) and through serious financial issues of the 1990s. Even after she retired in 2006, she remained an advocate for public schools, he said. A funeral Mass will be said Friday at 10 a.m. at St. Gregory’s Church in Dorchester.